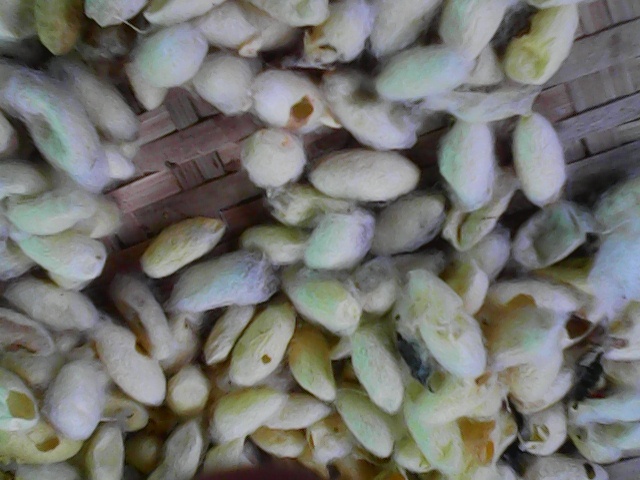 Sericulture – Cultivation of the silkworm is known as sericulture. Although many insects produce silk, only the filament produced by Bombyx mori, the mulberry silk moth and a few others in the same genus, is used by the commercial silk industry. Hatching the Eggs – The first stage of silk production is the laying of silkworm eggs, in a controlled environment such as an aluminum box, which are then examined to ensure they are free from disease. The female deposits 300 to 400 eggs at a time. 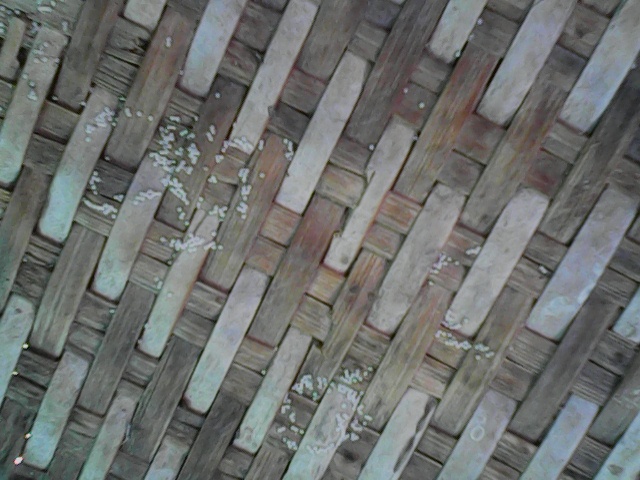 The Feeding Period – Once hatched, the larvae are placed under a fine layer of gauze and fed huge amounts of chopped mulberry leaves during which time they shed their skin four times. The larvae may also feed on Osage orange or lettuce. Larvae fed on mulberry leaves produce the very finest silk. The larva will eat 50,000 times its initial weight in plant material. Spinning the Cocoon – The silkworm attaches itself to a compartmented frame, twig, tree or shrub in a rearing house to spin a silk cocoon over a 3 to 8 day period. This period is termed pupating. Silkworms possess a pair of specially modified salivary glands called sericteries, which are used for the production of fibroin – a clear, viscous, proteinaceous fluid that is forced through openings called spinnerets on the mouth part of the larva. Reeling the Filament – At this stage, the cocoon is treated with hot air, steam, or boiling water. The silk is then unbound from the cocoon by softening the sericin and then delicately and carefully unwinding, or ‘reeling’ the filaments from 4 – 8 cocoons at once, sometimes with a slight twist, to create a single strand. A long process and manufactured painstakingly with care within our silk worm farms in S.E Asia .